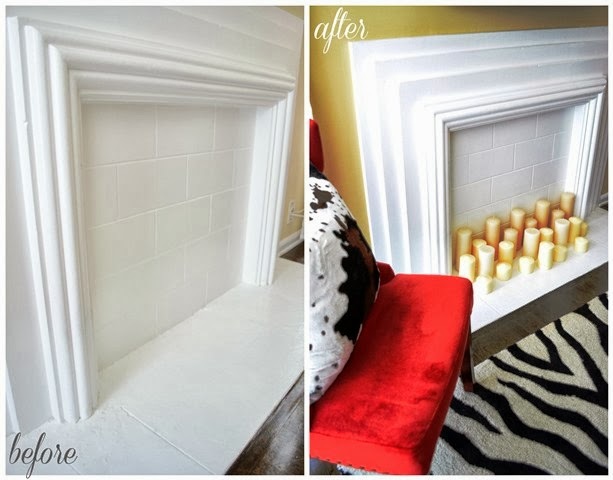 When I saw this pretty faux fireplace hearth in the place we're in now, I knew immediately I'd fill it with candles as I've done it many times before in the past since I have an affinity for candles. 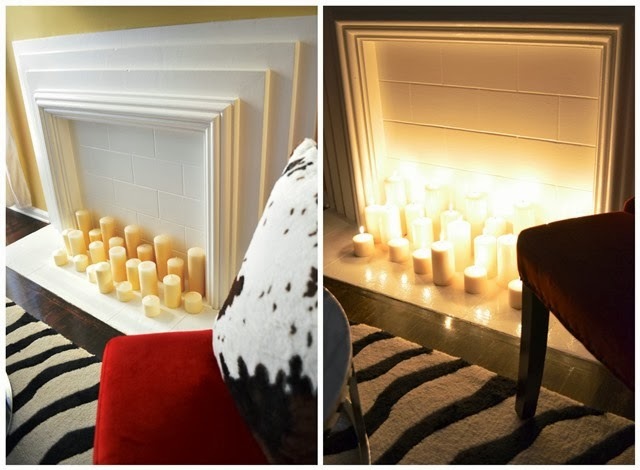 So, if you don't have a real fireplace, you can still create the effect by either investing in an electric fireplace, or if you have a faux fire hearth - why not fill it with different height candles* for visual interest and for your warming pleasure as seen here in our west coast place. The glow of a fire adds such coziness to a home and gives me that warm and fuzzy feeling all over;). However, if you're apprehensive about the flames of actual candles, there are many pretty other options such as LED battery operated candles (like here, here, here and these would be great change for the winter months) that will give the same effect without the danger. I'm pretty sure I'll be adding more to this bunch so they can all meld onto each other eventually. *NOTE: Never leave lit candles unattended and around children or pets.